What Are the Causes of Smoker's Cough? Symptoms of lung infections may begin with a simple persistent cough or difficulty in breathing, according to Merck. Lung infections need medical treatment with anti-infective drugs in order to restore normal breathing capabilities. 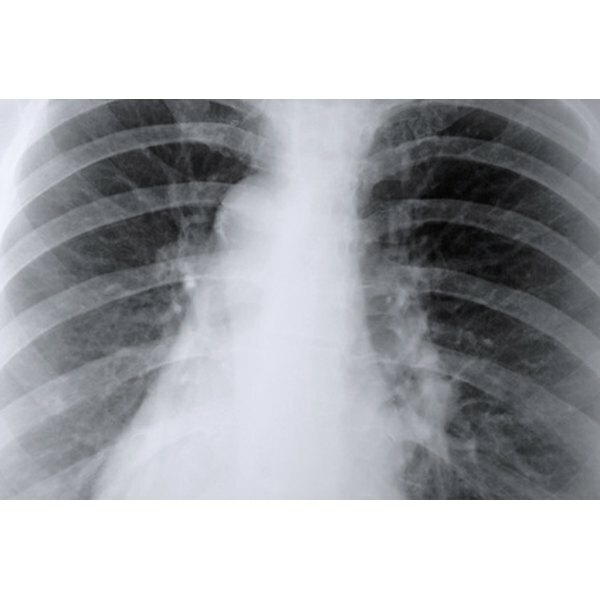 Some lung infections have serious complications, including death. Difficulty in breathing or a cough lasting more than three weeks needs to be investigated by a health care professional. Although the number of reported tuberculosis, or TB, cases has been on the decline for the past 10 years, that trend has slowed, according to the U.S. Centers for Disease Control and Prevention, or CDC. A sufferer of TB looks sick with muscle wasting, weight loss, poor muscle tone and dry flaky skin. TB lesions inside the lungs make breathing difficult and produce sputum often green or blood-tinged. The treatment for TB lung infection extends into months and requires medications that can be quite expensive. Anyone living with a TB sufferer must also be treated to prevent infection of the disease. People can carry the TB virus for years without ever developing tuberculosis. The symptoms of severe acute respiratory syndrome, or SARS, include high fever, headache, overall feeling of malaise and cough that usually progresses to pneumonia. The SARS virus spreads from person to person through droplet transmission from the infected person to the mucus membranes of another person. The SARS lung infection is an infection of "close contact" meaning it can be contracted less than three feet away from a person infected with the illness, reports the CDC. In 2003, approximately 8,000 people worldwide developed SARS, and according to the World Health Organization, more than 700 of those died. Often referred to as a chest cold or upper respiratory infection, bronchitis affects more smokers than non-smokers. Characterized by thick, yellow and sometimes green-tinged mucus, the cough from this lung infection can last several weeks. A cough from chronic bronchitis can last up to two years. Chronic bronchitis is also one of the three lung disorders that make up the diagnosis of COPD, or chronic obstructive pulmonary disease. Pneumonia often begins as a consequence of the flu. Persons with compromised lung functioning are at especially high risk for development of pneumonia. Symptoms of this inflammation of the lungs include high fever, shortness of breath, painful breathing, chills, overall malaise and cough, according to Judith Schilling McCann in the text "Pathophysiology." The bacteria that causes strep throat is also associated with bacterial pneumonia, the most common form of this lung infection.